Peppers come in a multitude of varieties and, once you get them started, are easy to maintain and grow. While we have some general information on seed starting indoors, we thought it would be helpful to give you additional information on sowing and growing peppers. Start peppers indoors 8-10 weeks before the average last spring frost. Then transplant the seedlings outdoors when daytime temperatures are at least 70°F and nighttime temperatures are at least 55°F. 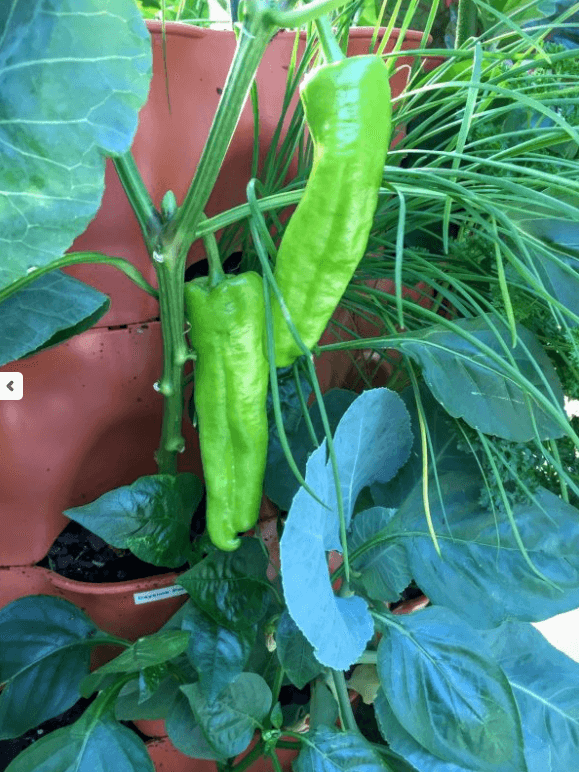 In mild climates, however, peppers can be sown directly outdoors 2-4 weeks after any possibility of frost, when the soil temperature is at least 70°F. Below is a general guide for when to start your peppers indoors based on Zone. Temperature is crucial for starting peppers. Pepper seeds germinate much faster if the soil or media is kept at 70°–90°F. At cooler temperatures, the seeds can either fail to sprout, or sprouting may take a month. The longer seeds take to emerge, the more susceptible they are to rotting in wet conditions or being attacked by fungus in the media. Seedling heat mats are especially helpful in maintaining warm soil for peppers. Once germinated, peppers can be grown at air temperatures of 60°F at night and 70°F during the day. Use a lightweight seed starting mix or media, and sow seeds at a shallow (1/4″) depth. Seed starting mix is sterile (unlike garden soil) and lighter than potting mix, allowing for the ideal air-to-moisture ratio. Our peat pellets and seed starting greenhouses make it easy and convenient to start seeds without the mess. Fertilize if your seed-starting media does not contain fertilizer. No fertilization is needed until seedlings develop the second set of leaves, known as “true” leaves. The first leaves are called “cotyledons”. They arise from the seed already formed, while the following leaves are formed using new cell growth. Use a balanced, diluted, liquid fertilizer for seedlings. Balanced fertilizers have equal parts nitrogen, phosphorous, and potassium represented as numbers, like this: 10-10-10. If fertilized regularly, your seedlings will have sturdy stems, and flowering will be delayed until after transplanting when plants are larger, which is safer for them. Large plants have more fruit-producing potential and thus more leaves, providing shade for the fruit and preventing sunscald. Pepper plants do not require much fertilizer, but keep given your seedlings a light application of balanced fertilizer until they are transplanted. Transplant seedlings into moderately sized (2”-4”) pots once they are close getting too big for their container. This may be about the time they develop 1-2 sets of true leaves. Transplant them when their roots are able to hold most of the potting soil when removed from the media, but before the roots are thick and encircling the potting media (“root-bound”). If plants become root-bound, be sure to massage some of the encircling roots apart, so they do not continue the pattern, which can end up strangling them in the long run. Peppers are sensitive to frost, so wait to harden them off until outdoor temperatures are sure to frost-free. Soil should be over 55°F when peppers are transplanted. 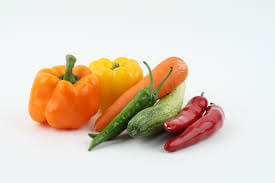 Peppers do not set fruit in periods of extended cool temperature (below 55°F) or hot (over 90°F daytime and over 75°F nighttime) temperatures. Fertilizing with kelp or seaweed can help plants with stress from heat, drought, or transplanting. Most peppers start out one color, often green, and ripen to another color over time. As peppers ripen to their second color, the flavor sweetens and the nutrients increase. When a plant creates fruit (which contains seeds), biologically it has “done its job”, and flowering and fruiting might then slow down. By picking some fruit early or at its first color stage, you send a signal that the plant should create more seeds, continuing the process of flower, fruit, and seed maturity. A class of compounds called capsaicin, derived from peppers’ genus name, gives chile peppers their spiciness. Capsaicin occurs mostly in the light-colored ribs, called pith, inside the pepper. The seeds contain very little or no capsaicin, but are often hot because they come in contact with the capsaicin from the ribs. Capsaicin may have several health benefits. Some of the possibilities being studied are increased metabolism, appetite suppression, decreased heart disease, reduced pain perception, and, believe it or not, heartburn relief. Like your peppers hot? The more mature the pepper fruit, the hotter the pepper will be. Stress, such as drought, will also make peppers hotter. You can cause stress to the plant by cutting back on watering after fruits have started to develop so the soil stays dry, but be careful not to let the plant wilt! However, drought stress may reduce yields.